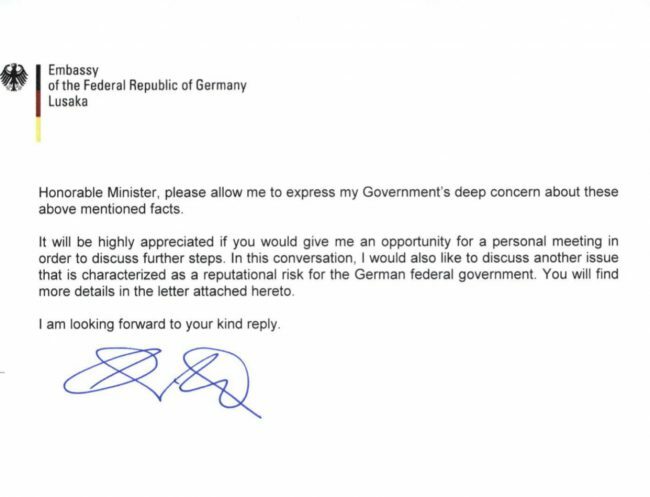 The German government has revealed that the Zambian government forged signatures in an attempt to steal Three million Euros given as donor funds. Recently, the Zambian government came under international spotlight after it was discovered that it stole social cash funds. But now another scandal has been uncovered where the Zambian government tried to steal Germany donor funding meant for both urban and rural water development. 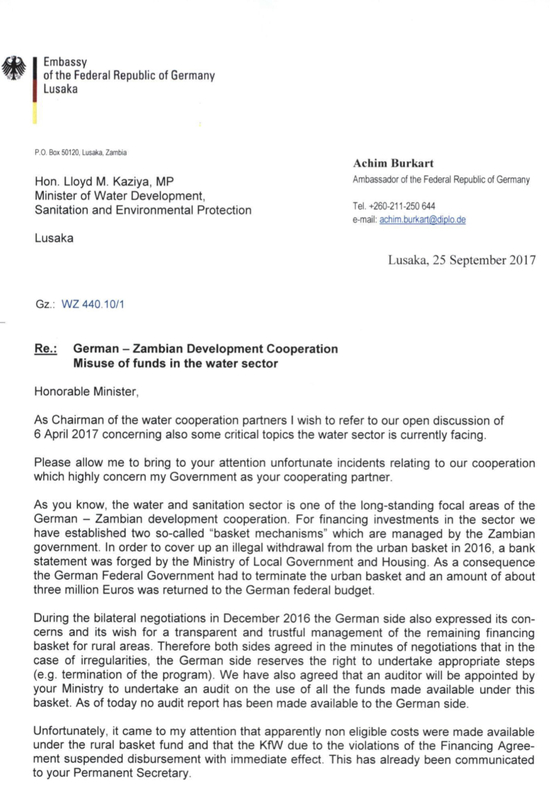 The thefts have been highlighted In a letter of complaint to the minister of Water Development Lloyd Kaziya by German ambassador to Zambia Achim Burkart. After discovering the thefts, the Germany government canceled the projects. The donor country discovered this theft which was done through the ministry of Local government and housing. In order to cover the illegal urban basket theft of millions of euros, the Zambian government forged a bank statement which made the Germany terminate the urban water basket support and an amount of about 3 million euros was handed back to the Germany government. Perhaps this is just an iceberg of how much President Edgar Lungu’s government is plundering donor funding meant for the poor like mpofu.